Monday’s rewards turned into an error message after the update at 5:00 EST on Wed. Please do not delete this mail. We are looking into the issue. Do no delete what mail, the error mail? Already deleted. Please send me my lost mail and weekly rewards that were taken. Yeah - what happens if you didn't realize what happened and deleted it? 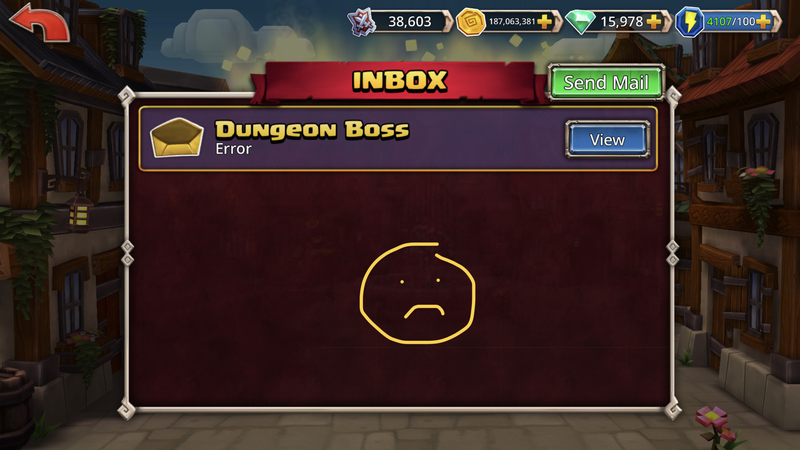 Thanks Dungeon Boss guess I’m not getting my rewards because YOU screwed up. Don't you know, there is NO WAY that Boss Fight can replace your lost items. It's just not possible. *cough* bull$h!t *cough*.